BACKGROUND: Atopic dermatitis is a chronic inflammatory skin disease that affects up to 13% of children and 10% of adults in the United States. Among patients and their families, atopic dermatitis has a considerable effect on quality of life and represents a substantial economic burden. OBJECTIVES: To describe the impact and challenges of atopic dermatitis and to provide nondermatologists in the healthcare community an enhanced understanding of atopic dermatitis to facilitate treatment and pharmacy benefit discussions. DISCUSSION: Atopic dermatitis is a heterogeneous disease, and its diagnosis is hampered by a lack of objective diagnostic criteria. The current management guidelines address the distinct clinical phenotypes as a single disease and do not incorporate recent clinical advances, such as the targeting of specific inflammatory processes. The treatment guidelines for atopic dermatitis are complex and challenge healthcare providers, patients, and caregivers. Novel treatments can provide additional therapeutic options for patients with atopic dermatitis. CONCLUSIONS: Treatment options for atopic dermatitis are expanding with the development of novel anti-inflammatory therapies. An increased understanding of these advancements is necessary to optimize care for patients with atopic dermatitis. The objective of this article is to describe the current diagnostic criteria, treatment landscape, and burden of atopic dermatitis to highlight the challenges that this disease presents to the wider healthcare community. As treatment options for atopic dermatitis expand, payers must effectively manage cost and healthcare resource utilization.60,71 In addition to supporting guideline-recommended approaches to therapy to maintain costs,60 payers may institute programs, such as prior authorization and preferred-drug formulary status, to manage costs.60,71 For example, dupilumab has paved the way for the use of biologics in the treatment of atopic dermatitis, while also introducing specialty pharmacies to the distribution channels. Previous experience with the introduction of biologics and anti-inflammatory agents for the treatment of psoriasis may assist providers and payers with adjusting to the use of new treatments for atopic dermatitis. Atopic dermatitis is a chronic disease that affects a large proportion of the US population, and is associated with a heavy disease burden that affects patients, their families, payers, and society. The current treatment paradigm is complex, with multiple different active drugs (for various parts of the body times in the disease course, or levels of disease severity), along with moisturizers, bathing recommendations, and other lifestyle recommendations. 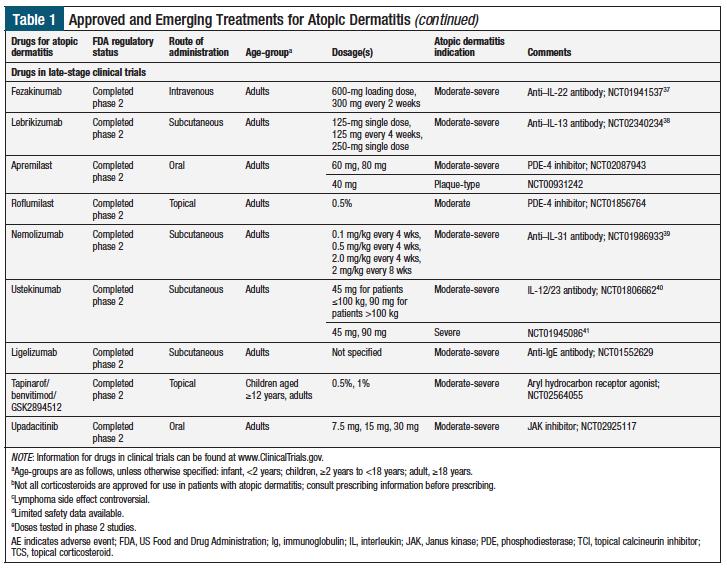 The available treatment options for atopic dermatitis have limitations related to efficacy, tolerability, and safety concerns. The approval of 2 novel medications for atopic dermatitis within the past 2 years, and the clinical development of additional drugs, have begun to revitalize the treatment landscape for this chronic disease. Editorial and medical writing support under the guidance of the authors was provided by Jennifer M. Kulak, PhD, and Corey Mandel, PhD, of ApotheCom. Funding for the preparation of the manuscript for this ­article was provided by Pfizer, Inc.
Dr Feldman has received grant and consulting honoraria from Pfizer, and is a consultant to and has received grants from Regeneron and Sanofi; Dr Cox is a consultant to Pfizer; Dr Strowd has received a grant from Pfizer; Dr Gerber and Dr Cappelleri are employees and stockholders of Pfizer; Dr Faulkner is an employee of Pfizer; Dr Sierka is a former employee and stockholder of Pfizer, and is now an employee of Sanofi; Mr Smith is an employee and shareholder of Pfizer; Dr Levenberg is an employee of and holds stock in Pfizer. Dr Feldman is Professor of Dermatology, Pathology, and Public Health Sciences, Wake Forest School of Medicine, Winston-Salem, NC; Dr Cox is a Practicing Physician, Adult and Pediatric Allergy and Immunology Practice, and is Assistant Clinical Professor of Medicine, University of Miami School of Medicine and Nova Southeastern University School of Osteopathic Medicine, Ft Lauderdale, FL; Dr Strowd is Assistant Professor of Dermatology, Wake Forest School of Medicine, Winston-Salem, NC; Dr Gerber is Senior Director, Outcomes and Evidence, Pfizer, Groton, CT; Dr Faulkner is Medical Outcomes Specialists Team Manager, Pfizer, New York, NY; Dr Sierka was Director of Medical Affairs, Pfizer, Collegeville, PA, during manuscript development; Mr Smith is Director, Real World Data and Analytics, Pfizer, New York, NY; Dr Cappelleri is Executive Director of Biostatistics, Pfizer, Groton, CT; Dr Levenberg is Director of US Medical Affairs, Pfizer, Collegeville, PA.
Eichenfield LF, Tom WL, Chamlin SL, et al. Guidelines of care for the management of atopic dermatitis: section 1. Diagnosis and assessment of atopic dermatitis. J Am Acad Dermatol. 2014;70:338-351. Silverberg JI, Hanifin JM. Adult eczema prevalence and associations with asthma and other health and demographic factors: a US population-based study. J Allergy Clin Immunol. 2013;132:1132-1138. Silverberg JI, Simpson EL. Associations of childhood eczema severity: a US population-based study. Dermatitis. 2014;25:107-114. Barbarot S, Auziere S, Gadkari A, et al. Epidemiology of atopic dermatitis in adults: results from an international survey. Allergy. 2018;73:1284-1293. Drucker AM, Wang AR, Li WQ, et al. The burden of atopic dermatitis: summary of a report for the National Eczema Association. J Invest Dermatol. 2017;137:26-30. Malik K, Heitmiller KD, Czarnowicki T. An update on the pathophysiology of atopic dermatitis. Dermatol Clin. 2017;35:317-326. Eichenfield LF, Ahluwalia J, Waldman A, et al. Current guidelines for the evaluation and management of atopic dermatitis: a comparison of the Joint Task Force Practice Parameter and American Academy of Dermatology guidelines. J Allergy Clin Immunol. 2017;139(4 suppl):S49-S57. Weidinger S, Novak N. Atopic dermatitis. Lancet. 2016;387:1109-1122. 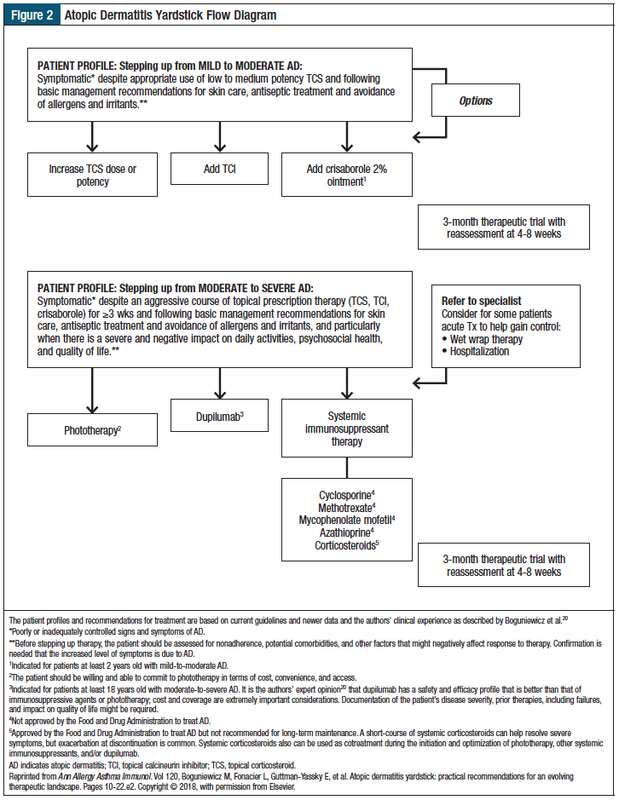 Dupixent (dupilumab) injection, for subcutaneous use [prescribing information]. Tarrytown, NY: Regeneron Pharmaceuticals; Bridgewater, NJ: Sanofi-­Aventis U.S.; March 2019. Eucrisa (crisaborole) ointment, 2%, for topical use [prescribing information]. New York, NY: Pfizer; December 2018. Eichenfield LF, Friedlander SF, Simpson EL, Irvine AD. Assessing the new and emerging treatments for atopic dermatitis. Semin Cutan Med Surg. 2016;35(5 suppl):S92-S96. Schneider L, Tilles S, Lio P, et al. Atopic dermatitis: a practice parameter update 2012. J Allergy Clin Immunol. 2013;131:295-299.e27. Siegfried EC, Hebert AA. Diagnosis of atopic dermatitis: mimics, overlaps, and complications. J Clin Med. 2015;4:884-917. Thomsen SF. Atopic dermatitis: natural history, diagnosis, and treatment. ISRN Allergy. 2014;2014:354250. Bieber T, D’Erme AM, Akdis CA, et al. Clinical phenotypes and endophenotypes of atopic dermatitis: where are we, and where should we go? J Allergy Clin Immunol. 2017;139(4 suppl):S58-S64. Boguniewicz M, Alexis AF, Beck LA, et al. Expert perspectives on management of moderate-to-severe atopic dermatitis: a multidisciplinary consensus addressing current and emerging therapies. J Allergy Clin Immunol Pract. 2017;5:1519-1531. Wei W, Anderson P, Gadkari A, et al. Discordance between physician- and patient-reported disease severity in adults with atopic dermatitis: a US cross-sectional survey. Am J Clin Dermatol. 2017;18:825-835. Eichenfield LF, Tom WL, Berger TG, et al. Guidelines of care for the management of atopic dermatitis: section 2. Management and treatment of atopic dermatitis with topical therapies. J Am Acad Dermatol. 2014;71:116-132. Sidbury R, Davis DM, Cohen DE, et al. Guidelines of care for the management of atopic dermatitis: section 3. Management and treatment with phototherapy and systemic agents. J Am Acad Dermatol. 2014;71:327-349. Boguniewicz M, Fonacier L, Guttman-Yassky E, et al. Atopic dermatitis yardstick: practical recommendations for an evolving therapeutic landscape. Ann Allergy Asthma Immunol. 2018;120:10-22.e2. Wollenberg A, Barbarot S, Bieber T, et al. Consensus-based European guidelines for treatment of atopic eczema (atopic dermatitis) in adults and children: part I. J Eur Acad Dermatol Venereol. 2018;32:657-682. Wollenberg A, Barbarot S, Bieber T, et al. 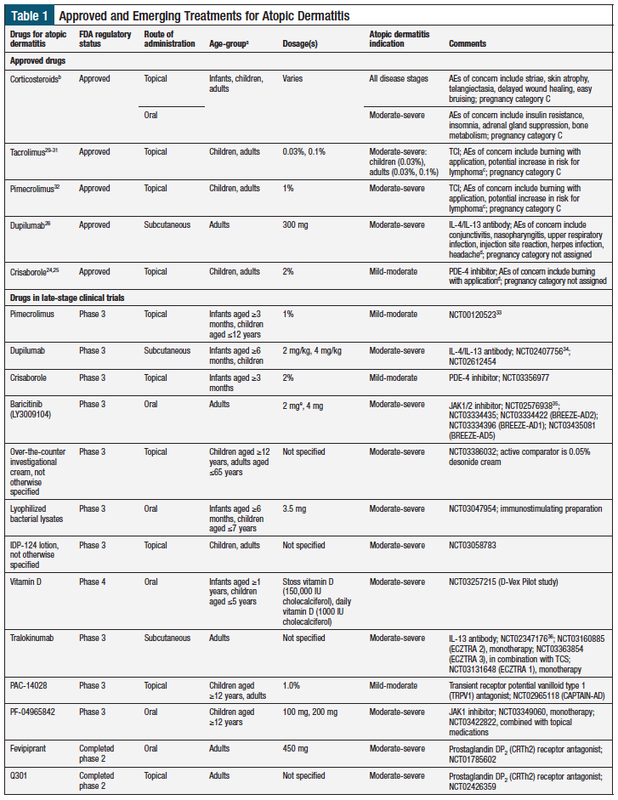 Consensus-based European guidelines for treatment of atopic eczema (atopic dermatitis) in adults and children: part II. J Eur Acad Dermatol Venereol. 2018;32:850-878. Leung DYM, Guttman-Yassky E. Assessing the current treatment of atopic dermatitis: unmet needs. J Allergy Clin Immunol. 2017;139(4 suppl):S47-S48. Paller AS, Tom WL, Lebwohl MG, et al. Efficacy and safety of crisaborole ointment, a novel, nonsteroidal phosphodiesterase 4 (PDE4) inhibitor for the topical treatment of atopic dermatitis (AD) in children and adults. J Am Acad Dermatol. 2016;75:494-503.e6. Erratum in: J Am Acad Dermatol. 2017;76:777. Eichenfield LF, Call RS, Forsha DW, et al. Long-term safety of crisaborole ointment 2% in children and adults with mild to moderate atopic dermatitis. J Am Acad Dermatol. 2017;77:641-649.e5. Simpson EL, Bieber T, Guttman-Yassky E, et al; for the SOLO 1 and SOLO 2 investigators. Two phase 3 trials of dupilumab versus placebo in atopic dermatitis. N Engl J Med. 2016;375:2335-2348. Shukla S, Feldman SR, Strowd LC. A safety review of the medications used to treat atopic dermatitis. Expert Opin Drug Saf. 2018;17:179-183. Patel N, Strowd LC. The future of atopic dermatitis treatment. Adv Exp Med Biol. 2017;1027:185-210. Schachner LA, Lamerson C, Sheehan MP, et al; for the US Tacrolimus Ointment Study Group. Tacrolimus ointment 0.03% is safe and effective for the treatment of mild to moderate atopic dermatitis in pediatric patients: results from a randomized, double-blind, vehicle-controlled study. Pediatrics. 2005;116:e334-e342. Soter NA, Fleischer AB Jr, Webster GF, et al. Tacrolimus ointment for the treatment of atopic dermatitis in adult patients: part II, safety. J Am Acad Dermatol. 2001;44(1 suppl):S39-S46. Hanifin JM, Ling MR, Langley R, et al. Tacrolimus ointment for the treatment of atopic dermatitis in adult patients: part I, efficacy. J Am Acad Dermatol. 2001;44(1 suppl):S28-S38. Eichenfield LF, Lucky AW, Boguniewicz M, et al. Safety and efficacy of pimecrolimus (ASM 981) cream 1% in the treatment of mild and moderate atopic dermatitis in children and adolescents. J Am Acad Dermatol. 2002;46:495-504. Sigurgeirsson B, Boznanski A, Todd G, et al. Safety and efficacy of pimecrolimus in atopic dermatitis: a 5-year randomized trial. Pediatrics. 2015;135:597-606. Cork MJ, Thaçi D, Davis JD, et al. An open-label phase IIa trial assessing the pharmacokinetics, safety and efficacy of dupilumab in a paediatric population with moderate-to-severe atopic dermatitis. Br J Dermatol. 2017;177(suppl 1):67-68. Guttman-Yassky E, Silverberg JI, Nemoto O, et al. Baricitinib in adult patients with moderate-to-severe atopic dermatitis: a phase 2 parallel, double-­blinded, randomized placebo-controlled multiple-dose study. J Am Acad Dermatol. 2019;80:913-921.e9. Wollenberg A, Howell MD, Guttman-Yassky E, et al. A phase 2b dose-­ranging efficacy and safety study of tralokinumab in adult patients with moderate to severe atopic dermatitis (AD). J Am Acad Dermatol. 2017;76(suppl 1):AB20. Guttman-Yassky E, Brunner PM, Neumann AU, et al. Efficacy and safety of fezakinumab (an IL-22 monoclonal antibody) in adults with moderate-to-­severe atopic dermatitis inadequately controlled by conventional treatments: a randomized, double-blind, phase 2a trial. J Am Acad Dermatol. 2018;78:872-881.e6. Simpson EL, Flohr C, Eichenfield LF, et al. Efficacy and safety of lebrikizu­mab (an anti-IL-13 monoclonal antibody) in adults with moderate-to-severe atopic dermatitis inadequately controlled by topical corticosteroids: a randomized, placebo-controlled phase II trial (TREBLE). J Am Acad Dermatol. 2018;78:863-871.e11. Ruzicka T, Hanifin JM, Furue M, et al; for the XCIMA Study Group. Anti-­interleukin-31 receptor A antibody for atopic dermatitis. N Engl J Med. 2017;376:826-835. Khattri S, Brunner PM, Garcet S, et al. Efficacy and safety of ustekinumab treatment in adults with moderate-to-severe atopic dermatitis. Exp Dermatol. 2017;26:28-35. Saeki H, Kabashima K, Tokura Y, et al. Efficacy and safety of ustekinumab in Japanese patients with severe atopic dermatitis: a randomized, double-blind, placebo-controlled, phase II study. Br J Dermatol. 2017;177:419-427. Snyder A, Farhangian M, Feldman SR. A review of patient adherence to topical therapies for treatment of atopic dermatitis. Cutis. 2015;96:397-401. Feldman SR, Vrijens B, Gieler U, et al. Treatment adherence intervention studies in dermatology and guidance on how to support adherence. Am J Clin Dermatol. 2017;18:253-271. Patel N, Feldman SR. Adherence in atopic dermatitis. Adv Exp Med Biol. 2017;1027:139-159. Clark R, Bozkaya D, Levenberg M, et al. Topical treatment utilization for patients with atopic dermatitis in the United States, and budget impact analysis of crisaborole ointment, 2%. J Med Econ. 2018;21:770-777. Shah KN, Cortina S, Ernst MM, Kichler JC. Psoriasis in childhood: effective strategies to improve treatment adherence. Psoriasis (Auckl). 2015;5:43-54. Furue M, Onozuka D, Takeuchi S, et al. Poor adherence to oral and topical medication in 3096 dermatological patients as assessed by the Morisky Medication Adherence Scale-8. Br J Dermatol. 2015;172:272-275. Thorneloe RJ, Griffiths CEM, Emsley R, et al; for the British Association of Dermatologists Biologic Interventions Register; Psoriasis Stratification to Optimise Relevant Therapy study groups. Intentional and unintentional medication non-adherence in psoriasis: the role of patients’ medication beliefs and habit strength. J Invest Dermatol. 2018;138:785-794. Beattie PE, Lewis-Jones MS. Parental knowledge of topical therapies in the treatment of childhood atopic dermatitis. Clin Exp Dermatol. 2003;28:549-553. Li AW, Yin ES, Antaya RJ. Topical corticosteroid phobia in atopic dermatitis: a systematic review. JAMA Dermatol. 2017;153:1036-1042. Aubert-Wastiaux H, Moret L, Le Rhun A, et al. Topical corticosteroid phobia in atopic dermatitis: a study of its nature, origins and frequency. Br J Dermatol. 2011;165:808-814. Chamlin SL, Frieden IJ, Williams ML, Chren MM. 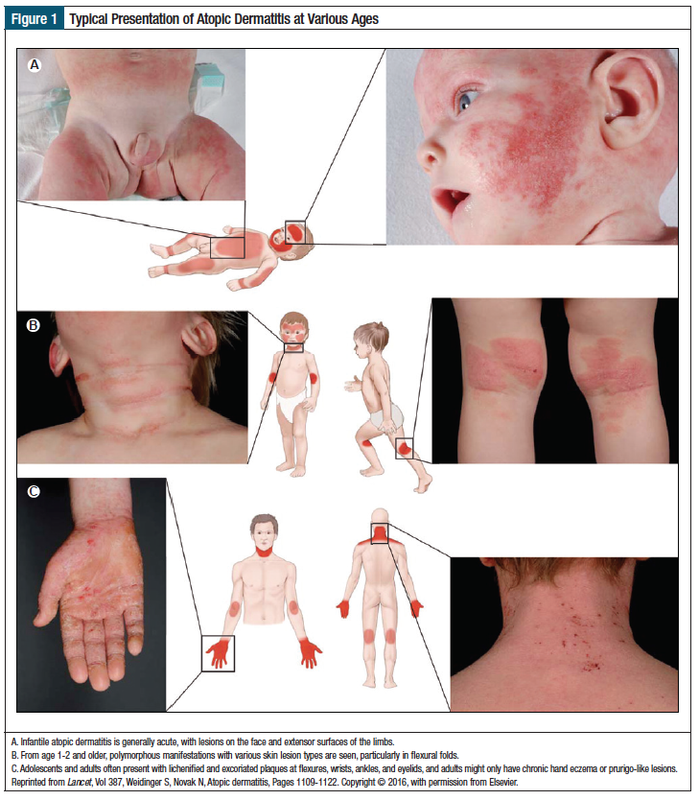 Effects of atopic dermatitis on young American children and their families. Pediatrics. 2004;114:607-611. Chamlin SL, Chren MM. Quality-of-life outcomes and measurement in childhood atopic dermatitis. Immunol Allergy Clin North Am. 2010;30:281-288. Beattie PE, Lewis-Jones MS. A comparative study of impairment of quality of life in children with skin disease and children with other chronic childhood diseases. Br J Dermatol. 2006;155:145-151. Eckert L, Gupta S, Amand C, et al. Impact of atopic dermatitis on health-related quality of life and productivity in adults in the United States: an analysis using the National Health and Wellness Survey. J Am Acad Dermatol. 2017;77:274-279.e3. Simpson EL. Comorbidity in atopic dermatitis. Curr Dermatol Rep. 2012;1:29-38. Brunner PM, Silverberg JI, Guttman-Yassky E, et al. Increasing comorbidities suggest that atopic dermatitis is a systemic disorder. J Invest Dermatol. 2017;137:18-25. Szolnoky G, Altmayer A, Varga J, et al. Adult atopic dermatitis is associated with increased aortic stiffness. Am J Clin Dermatol. 2018;19:135-137. Yaghmaie P, Koudelka CW, Simpson EL. Mental health comorbidity in patients with atopic dermatitis. J Allergy Clin Immunol. 2013;131:428-433. Stern D. Benefit design innovations to manage specialty pharmaceuticals. J Manag Care Pharm. 2008;14(suppl A):S12-S16. Shrestha S, Miao R, Wang L, et al. Burden of atopic dermatitis in the United States: analysis of healthcare claims data in the commercial, Medicare, and Medi-Cal databases. Adv Ther. 2017;34:1989-2006. Eckert L, Gupta S, Amand C, et al. The burden of atopic dermatitis in US adults: health care resource utilization data from the 2013 National Health and Wellness Survey. J Am Acad Dermatol. 2018;78:54-61.e1. Silverberg JI. Health care utilization, patient costs, and access to care in US adults with eczema: a population-based study. JAMA Dermatol. 2015;151:743-752. Bickers DR, Lim HW, Margolis D, et al. The burden of skin diseases: 2004: a joint project of the American Academy of Dermatology Association and the Society for Investigative Dermatology. J Am Acad Dermatol. 2006;55:490-500. Institute for Clinical and Economic Review. Dupilumab and Crisaborole for Atopic Dermatitis: Effectiveness and Value: Evidence Report. May 12, 2017. https://icer-review.org/wp-content/uploads/2016/10/MWCEPAC_ATOPIC_EVIDENCE_REPORT_051217.pdf. Accessed March 21, 2019. Kuznik A, Bégo-Le-Bagousse G, Eckert L, et al. 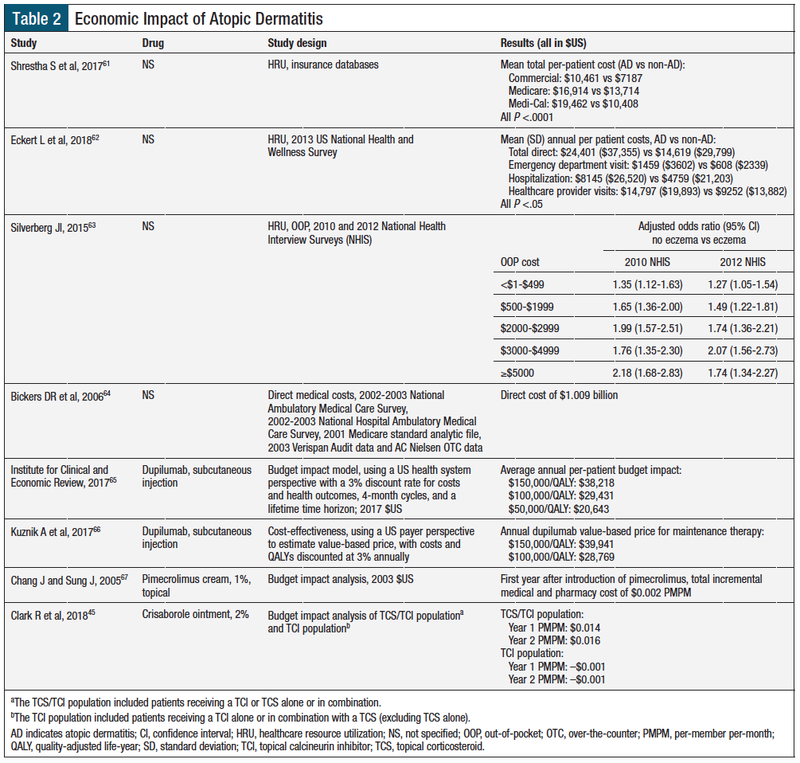 Economic evaluation of dupilumab for the treatment of moderate-to-severe atopic dermatitis in adults. Dermatol Ther (Heidelb). 2017;7:493-505. Chang J, Sung J. Health plan budget impact analysis for pimecrolimus. J Manag Care Pharm. 2005;11:66-73. Drucker AM, Wang AR, Qureshi AA. Research gaps in quality of life and economic burden of atopic dermatitis: the National Eczema Association burden of disease audit. JAMA Dermatol. 2016;152:873-874. Sullivan SD, Mauskopf JA, Augustovski F, et al. Budget impact analysis—principles of good practice: report of the ISPOR 2012 Budget Impact Analysis Good Practice II Task Force. Value Health. 2014;17:5-14. Shi CR, Nambudiri VE. Research techniques made simple: cost-effectiveness analysis. J Invest Dermatol. 2017;137:e143-e147. Patel BN, Audet PR. 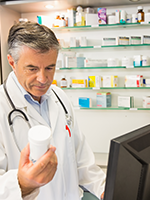 A review of approaches for the management of specialty pharmaceuticals in the United States. Pharmacoeconomics. 2014;32:1105-1114. PHYSICIANS/PATIENTS: Recently, 2 new medications have been approved for the treatment of atopic dermatitis. Crisaborole is a topical phosphodiesterase-4 inhibitor approved for atopic dermatitis in patients aged ≥2 years, and dupilumab is an interleukin-4 receptor alpha antagonist approved for moderate-to-severe atopic dermatitis in patients aged ≥12 years. This last statement becomes even more important when we look at the drug pipeline for the treatment of atopic dermatitis, which includes several monoclonal antibodies, Janus kinase inhibitors, and many other agents with novel mechanisms of action. 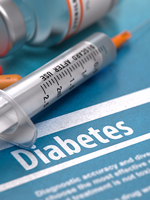 As the choices of therapy for this disease expand, physicians and patients will face increasing complexity in relation to the choice and cost of therapy. PAYERS: Payers need to develop payment and coverage policies to manage these increasing treatment choices and complexity. To do this, payers often use nationally recognized guidelines as a source for policy development. However, these guidelines can often lag behind the introduction of new agents because of the need to convene expert panels and a lack of data on the impact of new treatments in the first few months after a drug’s launch. 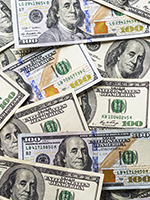 If the future annual cost of treating moderate-to­severe atopic dermatitis is $30,000 or more for patients who receive biologic agents, treating only 5% (approximately 850,000) of these patients with a biologic drug can lead to an additional $25 billion in medical cost annually. By any standard, this is a staggering number. Indeed, the outlook for the future of patients with atopic dermatitis is bright, with increasingly effective treatments that may be tailored to an individual patient’s needs. Like most advances in medicine, however, these new treatments come at a cost that must be managed effectively in the context of limited healthcare resources. As the title of this article effectively states, these evolving treatments will create management challenges. Gary M. Owens, MD is President, Gary Owens Associates, Ocean View, DE. 1. Spergel JM. From atopic dermatitis to asthma: the atopic march. Ann Allergy Asthma Immunol. 2010;105:99-106. 2. Carlsten C, Dimich-Ward H, Ferguson A, et al. Atopic dermatitis in a high-risk cohort: natural history, associated allergic outcomes, and risk factors. Ann Allergy Asthma Immunol. 2013;110:24-28. 3. National Eczema Association. Eczema facts. https://nationaleczema.org/research/eczema-prevalence. Accessed April 11, 2019. 4. Feldman SR, Cox LS, Strowd LC, et al. The challenge of managing atopic dermatitis in the United States. Am Health Drug Benefits. 2019;12(2):83-93.